I’m going to post some more über healthy, easy and cheap recipes. 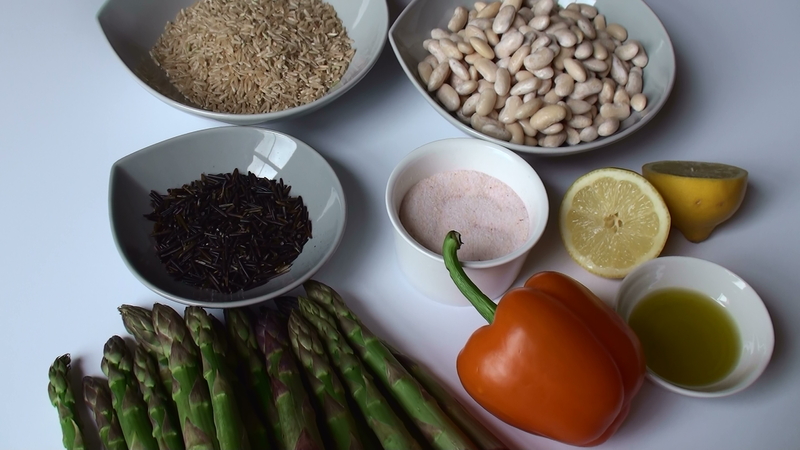 Brown & wild rice with cannelloni beans, asparagus and yellow pepper. I found the recipe here but I have changed it slightly to make it fit in with my family (fuzzy eater, nut allergy). I bought the dry cannelloni beans yesterday and soaked them for 24 hours. 1/4 Cup Olive Oil, Lemon Juice, Fresh Thyme. Salt & Pepper. Cook the rice and the beans according to directions. Cut up the asparagus in 2,5cm long pieces. Cut the pepper into the same sort of size. Add the vegetables to boiling water, leave for about 5 minutes. Drain and pour into a bowl with cold water and ice cubes (this will keep them crisp & crunchy). 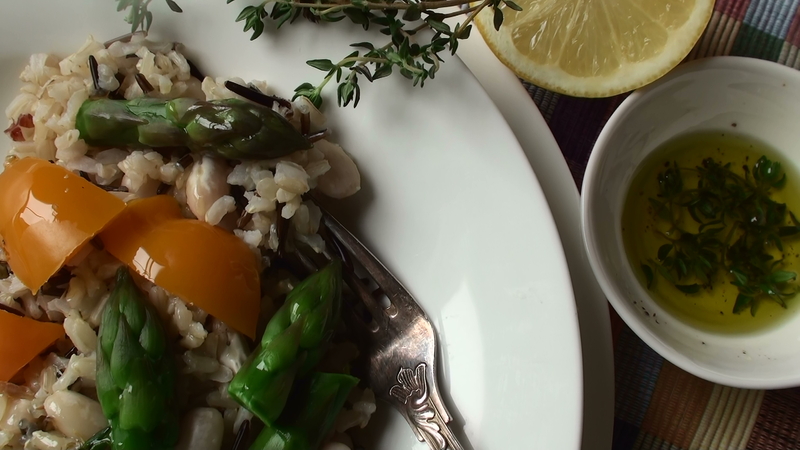 Whisk olive oil, lemon juice, fresh thyme, salt pepper together and drizzle over the food.